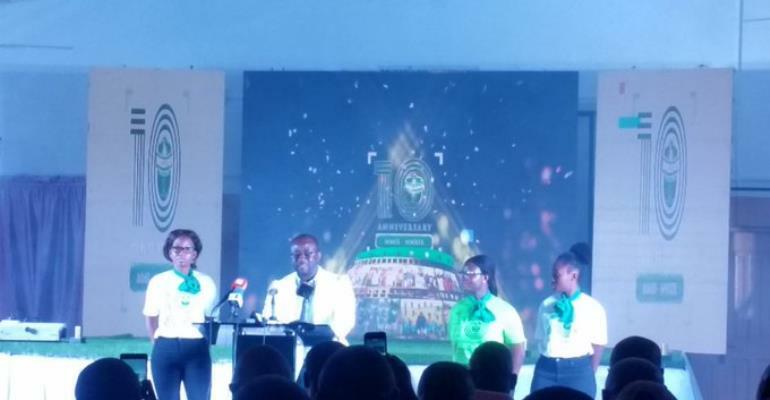 Dreams FC have unveiled activities to mark their 10 years anniversary at a ceremony held at the NMC conference room on Monday. The event had in attendance key stakeholders of the game as well as the presence of the Board Chairman of the National Sports Authority Kwadwo Baah Agyemang who chaired the occasion. In his opening remarks, the former Member of Parliament for Asante Akyem North congratulated the Dawu based side for their existence in Ghana football for 10 years and urged the club to continue to thrive in the subsequent years ahead. Executive Director of the club, Kurt E.S Okraku who launched the activities for the program, started with how the team was formed and some achievements attained by the club in the last decade. "In our 10 years of existence, we have been able to secure an office complex situated at East Legon. We intend to improve upon the club's infrastructure by constructing a state of the art training complex as well getting a stadium befitting of the club". He also thanked President Nana Akufo-Addo, Sports Minister Isaac Asiamah, members of the Parliamentary Select Committee on Sports and Culture and the clubs for the resumption of football on the local scene. As part of the activities to mark their 10 year anniversary he revealed that the club will commission a new Club house in Dawu and a testimonial match will be held in honour of Eric Gawu in August". Dreams FC were promoted into the Ghana top flight in the 2015/16 season.